This list is the perfect outdoor winter bucket list for kids and includes 50 fun and inexpensive outdoor things to do with kids during the winter. While it's nice to stay warm and play indoors, winter is simply way too long here in the Canadian prairies to do so every single day! We have no choice but to bundle up and head outdoors, even when it's so cold you cannot feel your face. Sadly, when I look up list of winter bucket lists for kids, the lists tend to focus primarily on indoor activities, which is great and all, but where is the list of outdoor play ideas? When you can't find what you are looking for, one must come up with their own list, no? Well, that's what I did. 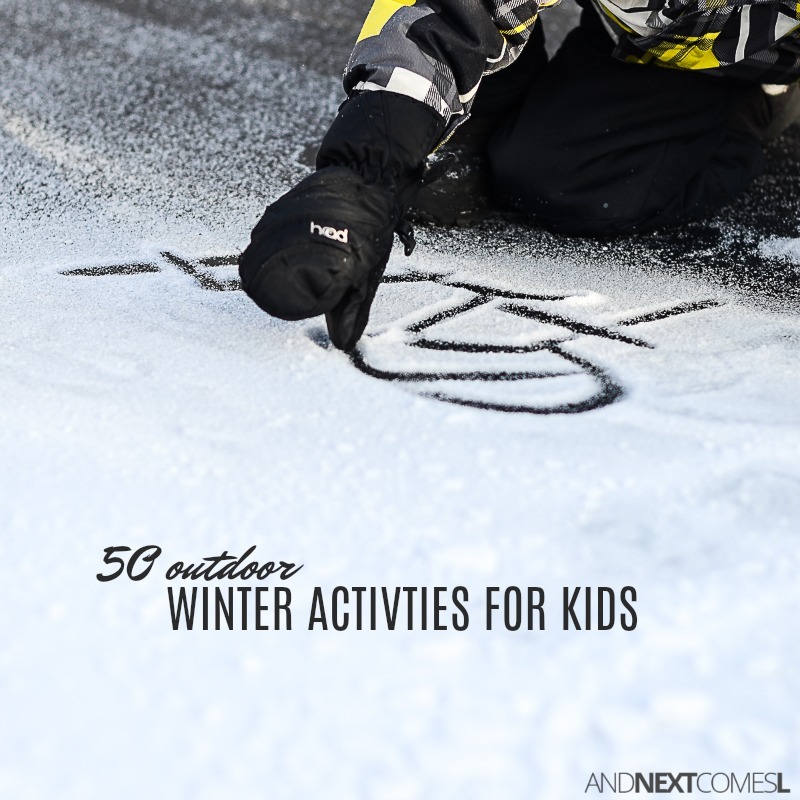 You're going to love this list of 50 fun and inexpensive outdoor things to do this winter with your kids! Over Christmas we faced about 10 days straight of -40 C weather. It was awful! By the time the deep freeze was over, the kids were so wiggly and squirmy from being cooped up in the house for days. They needed outside! 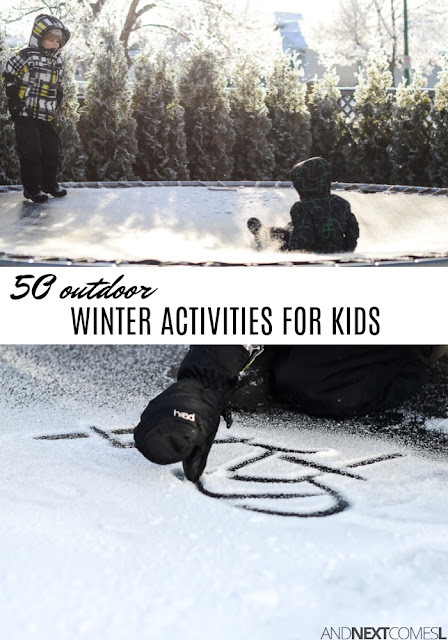 Thankfully, there's lots of wonderful and simple ways to enjoy the winter outdoors on this list of 50 outdoor winter activities for kids.